Dabble in decadence. 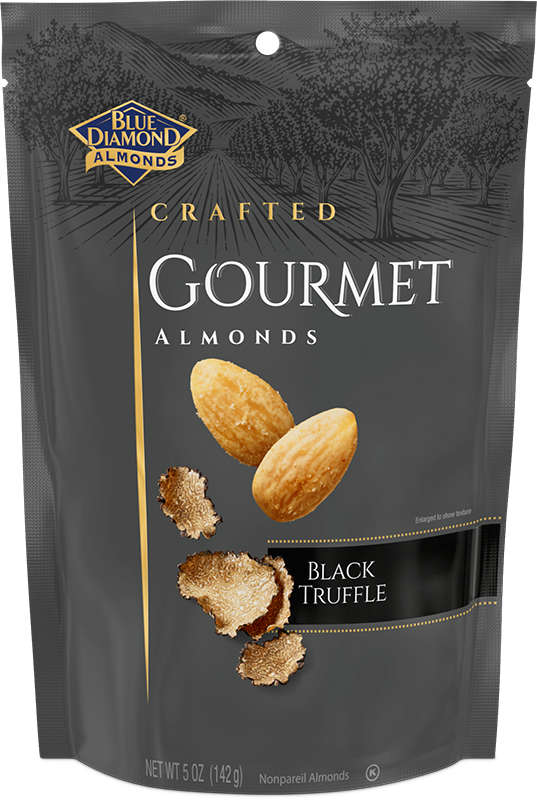 These irresistibly crunchy almonds are roasted and dusted with black truffles to pair with your most impressive spread of specialty cheeses and artisanal honey to make any occasion a fine occasion. Get inspired with our Gift of Truffle & Seeds holiday gourmet pairing featuring Black Truffle almonds. ALMONDS, VEGETABLE OIL (CANOLA AND/OR SAFFLOWER), SEA SALT, ACACIA GUM, BLACK TRUFFLE MUSHROOMS, NATURAL FLAVOR.